Only need the asist hooks, and go down. WEEPY´s unique tear-drop shape causes an amazing irregular action, looking as if it were escaping from predators, stimulating attacks even from low-active targets. Best used with high line retrieval capacity reels (around 1 mt. line per lap). Lightest sizes (70 and 90 gr) are ideal for shallow water. Luminous painting on the big sizes (200 gr) will attract the big ones that live in the depths. Using ASARI Assist Hooks with this lure is highly recommended. Round stainless steel inner wire. Thick coating to prevent painting coming off. Our LONG BLADE jigging lure shows an amazing dart action when onepitch jerking. Its asymmetrical deltashaped body ensures fast diving and winding-by-jerking speeds. Its sharp nose reduces water resistance to movement. The laser layers on the body generate attractive reflection even with little light. Using ASARI Assist Hooks with this lure is highly recommended. Round stainless steel inner wire. Thick coating to prevent painting coming off. The needle fish shape of the AKULA lure enables it to descend rapidly even in areas with a strong current it reaches great depths. When tugging on the line, the asymmetric distribution of weight in the AKULA generates an irregular action, which draws the attention of predators. Using ASARI Assist Hooks with this metal jig is highly recommended. Stainless steel wire chassis. Double coat of varnish to increase durability. Jig with an innovative, asymmetrical Japanese style design. 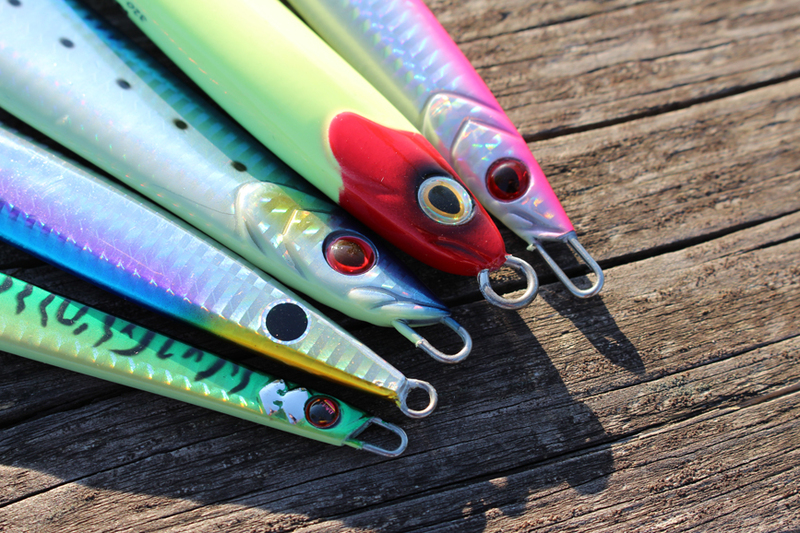 Specifically designed for rapid fishing at great depths. Thanks to its sharp hydrodynamic shape, it can be rapidly and easily moved close to the bottom, for hours of effortless fishing. This innovative jig with an asymmetrical, spear-shaped body offers two new features which are basic for fishing: Its weight distribution, with 70% of its weight in the tail, giving it an arrow effect and allowing it to achieve amazing casting distances. Its asymmetrical body produces a vibratory effect underwater, which drives predators crazy.Thanks to these new characteristics, this artificial bait easily tempts fish when it is sinking, as it rotates around its own axis with a sharp zigzag movement, and also during line retrieval, in a series of jerks. This is a multipurpose jig, which can be used for spin casting and light jigging. The Delta Force works equally well with short, fast movements and long, slower ones… truly lethal.